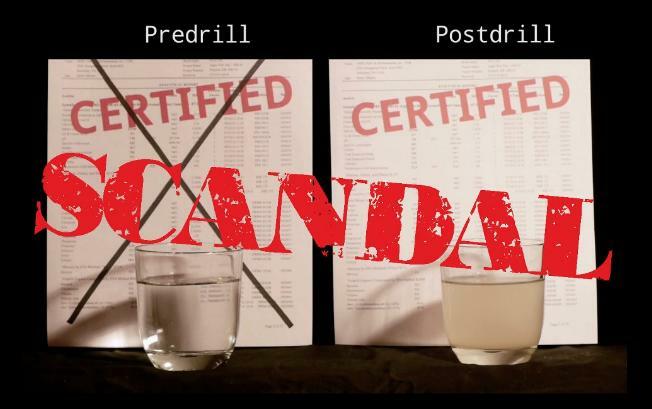 As promised, Triple Divide reveals how water contamination is being covered up by the industry and the state by rewriting the history of Pennsylvania’s water quality by dismissing predrill testing. Actor Mark Ruffalo co-narrates this 18-month cradle-to-grave investigation by Public Herald, an investigative news nonprofit co-founded by journalists Joshua Pribanic and Melissa Troutman. Triple Divide features never before seen interviews with industry giants and advocates, exclusive reports with impacted landowners, uncovered state documents, and expert testimonies. Join the Gas Drilling Awareness Coalition’s presentation of Triple Divide on Thursday, May 9 at 7pm at Temple B’nai B’rith, 408 Wyoming Ave Kingston, PA.